Following a self-imposed sabbatical, Dan Reed returned to music rejuvenated and with a renewed sense of enthusiasm. Free from label shackles and media pressure, the last ten years have seen him fully embrace song-writing and performing, to such an extent that he has now four outlets for his creative craft: as a solo entity, as leader of Dan Reed Network, as one half of Snake Oil & Harmony (alongside Tyketto main-man Danny Vaughn) and also as part of the Dan Reed Trio. 'Origins' picks up from where 2016's 'Fight Another Day' left off and my lone criticism is that it contains only four brand-new songs – 'Fade To Light', 'Right In Front Of Me', 'Shameless' and 'One Last Time'. The 'Fight Another Day' album received mixed responses (not from me, I might add) with many bemoaning the fact that the band had not returned to the Funk style they were associated with during their initial run. To be fair, it's thirty years since 'Get To You' and 'Tiger In A Dress', and it wasn't all about the Funk element back then anyway. The likes of 'Tamin' The Wild Nights', 'All My Lovin'' and 'Stronger Than Steel' weren't Funk, but they certainly were high-quality songs highlighting a unique musical ethos. 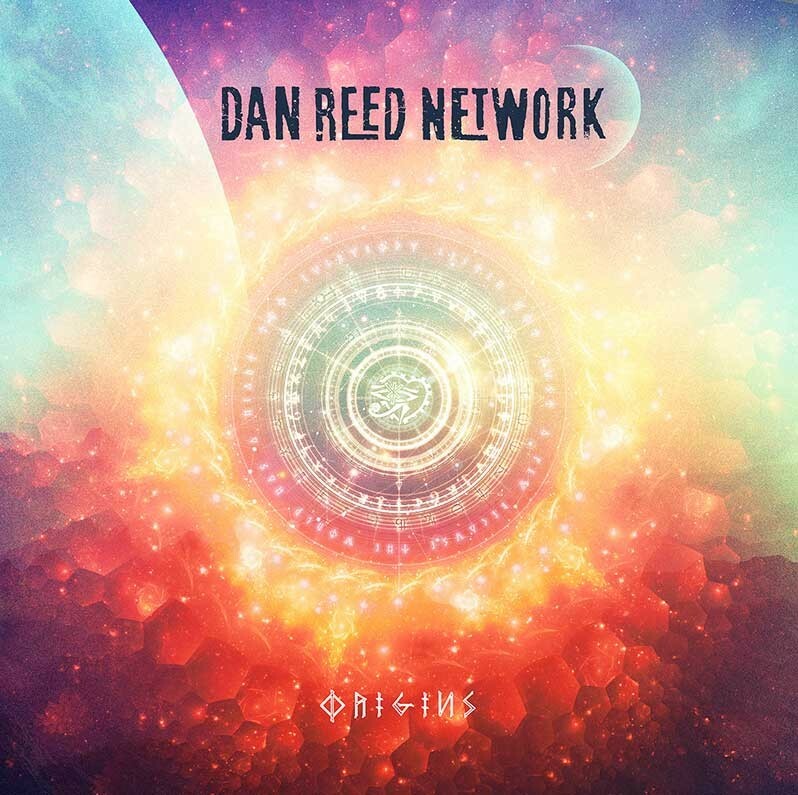 The Dan Reed Network style has always been too difficult to pigeonhole, and the pressure to produce hit singles was just one of the factors that led to Dan Reed walking away to seek peace and enlightenment. Dan Reed Network albums have always contained Pop, Rock, Soul and Funk elements, and that still applies in 2018 as the four new songs testify. They are all mid-tempo workouts that are consummately written and performed. Dan Reed's delivery may not have the urgency it once had, but that does not make his vocals any less distinctive or immediate. Brion James' guitar weaves intricate patterns in and out of the melody lines, and the hooks are just made for radio (like that will ever happen!). This album also contains re-workings of four established songs, namely 'Ritual', 'Forgot To Make Her Mine', 'Let It Go' and 'Rainbow Child'. 'Let It Go' is now arranged with a different tempo, but aside from minor tweaks, the other three songs vary little from the original versions.